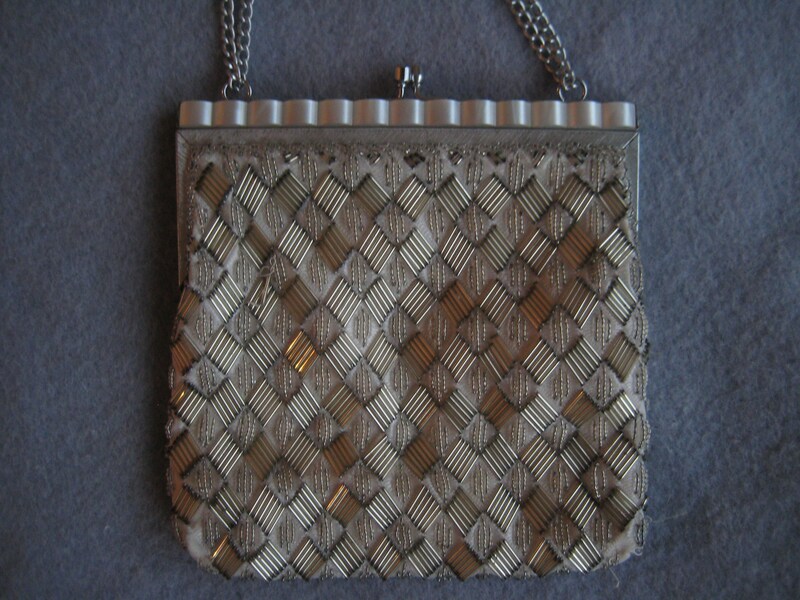 Stunning vintage evening bag with silver criss-cross beading. White marble look Lucite scallop trim along the top on both sides. Silver tone metal chain handle that expands from 6 to 11 inches long. Silver tone metal frame and kiss closure. 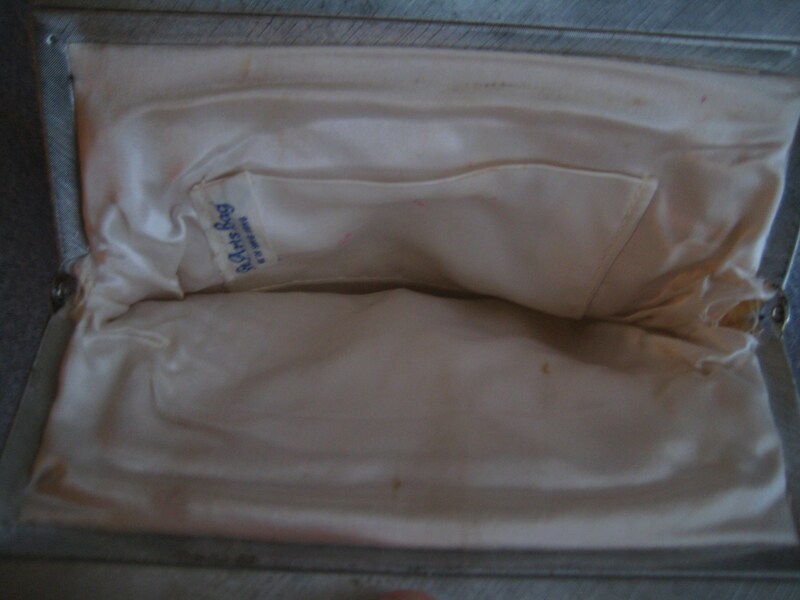 Pretty cream color satin lining with one patch pocket and minor lipstick mark. Embroidered label says "Fine Arts Bag. 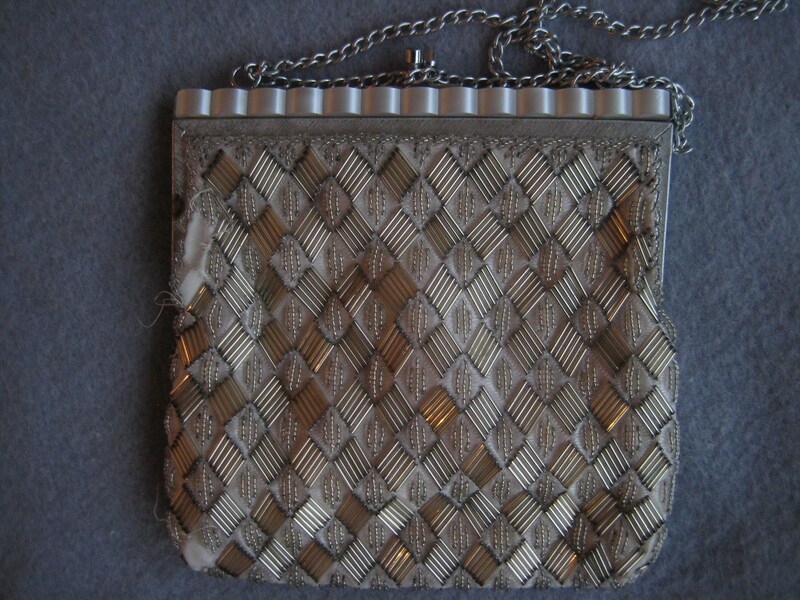 Made in Hong Kong" This was originally an expensive bag but there are spots around the perimeter that are worn. The threading is separating in some spots with beads a bit loose. Very redeemable and usable! Selling at a big discount! Dimensions: 7 inches long x 7 inches tall. No returns with special deals.